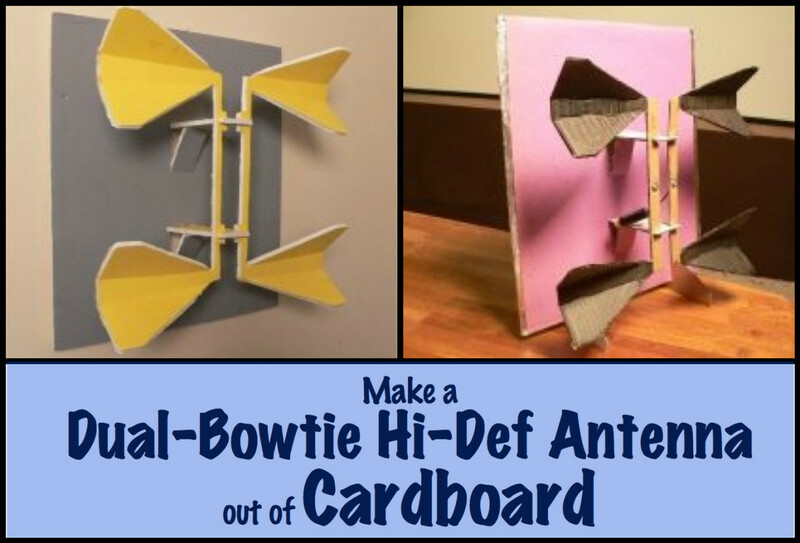 Follow these directions to make a functional antenna from cardboard and a few simple parts. Keep reading. You're about to discover just about the most unlikely thing you could ever expect to make out of cardboard. As a high-definition TV owner, you're looking for the easiest and least expensive way to get your local network channels. You may have realized that this is something you don't have to pay your cable TV provider for. Crisp, clear, digital, high-definition signals are available for free from your local TV stations: All you need is the right antenna. But HDTV antennas can be expensive: $40 to $70 for a good indoor model. This is one of the best HDTV antenna designs ever, and also the least expensive, because you will make it yourself using cardboard and foil. Here's a secret you won't hear from an antenna manufacturer: The TV signals themselves don't care what the antenna is made from, as long as the correct arrangement of electrical conductors is present. With this antenna, that's aluminum foil. As outrageous as it may sound, this antenna can be just as effective and powerful—or more so—as any other antenna, no matter the cost or construction. 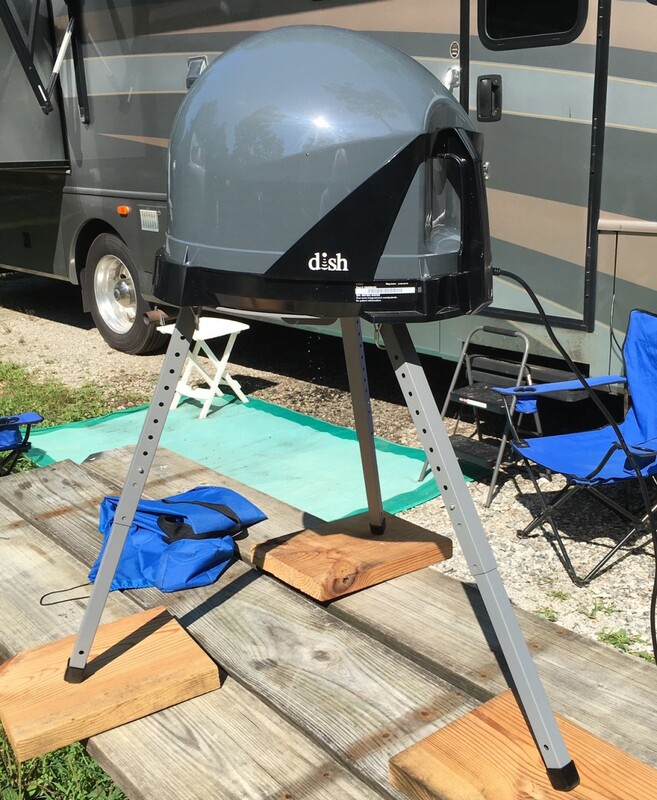 I have taken some of the best antenna designs I could find and modified, experimented, built, and rebuilt them until I had the best performing HDTV antenna I have ever tested. They just happen to be made out of cardboard. Click the above link to open your pattern in Adobe reader. You will need legal size paper (8 1/2 by 14 inches) to print these correctly. Don't let the simplicity fool you. This is a powerful antenna that easily beats a $50 HDTV antenna. Refer to the yellow diagram below to familiarize yourself with the parts. You can build it in just 13 steps. Scissors and a pen knife/boxcutter. Stapler or nuts/bolts (see directions below). Cable, either 75-ohm coaxial or 300-ohm twin-lead. The first way is to connect a 300-ohm twin-lead wire (flat wire) to the antenna and add a balun at the end of the wire that connects to your TV. The second way is to connect the balun directly to the antenna and run 75-ohm coax (round wire) from the antenna to the TV. Both approaches work fine. You can find antenna baluns (also called TV-matching transformers) and wire at places like Home Depot, Radio Shack, eBay auctions, and even department stores. The parts of our HD antenna. Choose good sturdy cardboard or other material. Cardboard is actually one of the best choices for antennas because it is very light and will offer virtually no interference with the passage of the TV signal. Corrugated cardboard is great (it's very airy) and Foamcor is a good choice, too (it's very sturdy and attractive.) You can find Foamcor in lots of different colors at your local office supply store. 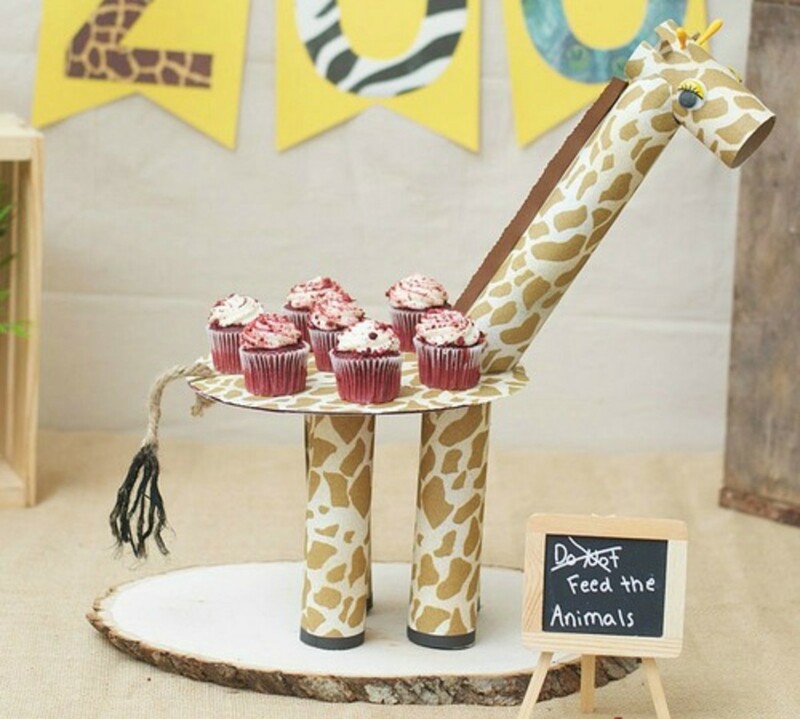 Corrugated cardboard is not as pretty, but it can be dressed up with paint, felt markers, or construction paper. Plastic should also work fine, though I haven't done specific testing. I don't recommend wood (unless very thin) since it will impede the TV signal slightly. Any glue that works on wood and paper, like Gorilla Glue or Elmer's wood glue, should be fine. Any aluminum foil will work but you'll find it easier to work with thick, heavy-duty foil. Be creative with the construction if you want to but you must pay attention to the placement and spacing of the foil, since this is what does the work of receiving the TV signal. Every other part of the design can be expanded, contracted, colored, decorated, or augmented (with non-conductive materials) to customize the antennas to your surroundings. If you want to use one of these antennas outside, use sturdier metal. Home improvement stores sell sheet aluminum that is light enough to cut with shears or tin snips. The bowties and reflector (backing) on the bowtie antenna should ideally be made of a porous metallic material like window screen, chicken wire, or pulled metal so it won't catch the wind. Locate the patterns for the dual-bowtie antenna (using the above link), print and cut them out as directed. 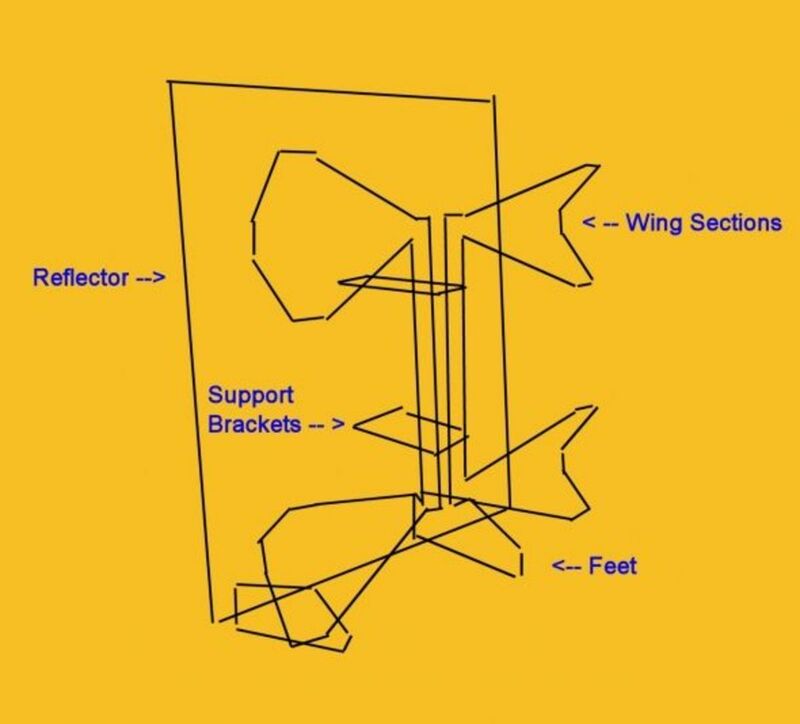 You should have patterns for the cardboard bowtie "wings," the foil bowtie "wings," support bracket, foot, and a stencil for cutting openings into the reflector (the backing). Cut the reflector panel out of a sheet of cardboard. Turn it over, apply some glue, and attach foil to entire back. Cut the reflector panel out of a sheet of cardboard. There is no pattern for this. Just cut a 13"x14" piece of cardboard or Foamcor. If you wish to paint it or glue construction paper to the front, you may do so now. Turn it over, apply a little glue, and attach aluminum foil to cover the entire backside. Use a ruler to find the exact center of the reflector's bottom edge. Position the reflector so that the long dimension (14 inches) runs away from you and the shorter 13-inch dimension runs right to left. This means the bottom edge of the antenna is now closest to you. Using a ruler, find the exact center of the bottom edge and place the stencil (sheet C) along the bottom edge of the reflector so the little "V" arrow points to the center. Use a piece or two of tape to secure the stencil sheet in place. With your felt tip marker, mark the slots where the feet will go and trace the inside of the two rectangles where the support brackets will mount. If you plan to use the feet (as opposed to hanging the antenna), go ahead and cut out the foot slots you just marked. Keep the thickness of your cardboard in mind when cutting out these slots. You want the feet to be a tight fit. It's OK to cut these slots a little too skinny, as you can always enlarge them later if you have to. Use a box cutter to cut the rectangles you traced. Using your pen knife or boxcutter, cut through three sides of the two rectangles you traced onto the reflector. If you remember from the stencil, the bottom edges of those rectangles were marked with dotted lines. Those are folds, not cuts. If your cardboard or Foamcor is hard to fold, you may make a light score with your knife on the dotted line to make it easier to fold. These flaps of cardboard will lean out towards the front and act as a brace for the support brackets. When cutting out the slots where the feet will fit, try to adjust the width of the slots for the material you are using. We want this to be a tight fit, so try to err on the side of making the slots too small. They can always be enlarged later. Cut out the rest of your cardboard pieces. Cut out your other cardboard pieces. Use a small piece of tape to hold the forms in place while you trace around them on your board. You will need two cardboard "wing sets," two support brackets, and two feet. After tracing, cut the patterns out of the cardboard, cutting around the INSIDE of the lines (since you traced the OUTSIDE of the patterns, the correct dimensions are on the inside). Cut out the brackets, cutting the whole square first and then the small slots. If you want to paint or color any of these parts, you many do so now (I'm using a felt pen). When cutting out the brackets, first do the whole square shape, and then cut out the small slots afterward (I like to cut two sides of the little slots with scissors, then cut the third inside edge with a knife). Try to adjust the width of the slots in the brackets for the thickness of the material you are using. We want this to be a tight fit, so try to err on the side of making the slots too skinny. They can always be enlarged later. Use the foil pattern to trace two wings. Cut out the foil "wings" using the foil pattern. You need two of these. Use a small bit of tape or two to hold the form in place while you trace around them onto the foil with your felt marker. Foil may not cut well with a pen knife or boxcutter. The scissors may work best. Try both. You will still need your pen knife for the smallest inside cuts, so work carefully. It is very easy to damage the foil while cutting. If it tears, trace the pattern again and start over. Mark the fold lines on the cardboard wings pattern along the dotted lines. 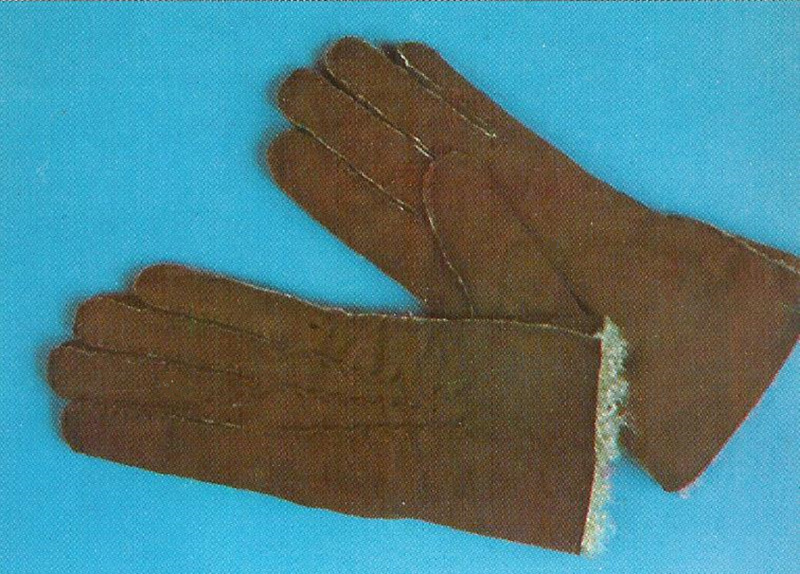 If you look at the cardboard wings pattern, you will see dotted lines where the folds go. Use your pattern to mark the correct place for these folds on the back of your wings. You'll have the best results making clean folds if you make light cuts (scores) along these lines. Then fold forward (away from the cut), opening up these light cuts. Once you are happy with the folds, secure them with some glue. The halves of each wing should make an angle of approximately 90 degrees to each other. It may spring back, so adjust these folds until they appear to be staying in the right position. Once you are satisfied, put a bead of glue into the scores. This will help hold the position of the folds. Carefully glue the cardboard and the foil together. Spread a light coat of glue over the rest of the wing backs and down the connecting struts. Glue only goes on the inside half of the struts, not on the edge where the slots are. Carefully fit the foil wings on top of the glue, position, and smooth. The foil connector that goes down the strut does not cover the slots. Repeat for the other set of wings. Insert a cardboard bracket into each rectangular hole you have cut into the reflector. Place a cardboard bracket into each of the rectangular holes on the front of the reflector. To accomplish this, pull the flap forward from the hole, fit the bracket in, and twist it into place so the slots on the bracket engage the edges of the hole. When you let go of the flap, it should support the bracket. Move this flap and find the point where the bracket extends straight out from the reflector, then place a piece of tape to hold the flap and bracket together. You will glue these spots later, when all of the parts are assembled. Attach feet to the bottom of the reflector if your antenna will sit on a flat surface. Mount the brackets to the wings, matching up slots, with a dab of glue. Mount the wings to the brackets by matching up the slots on the wings to the ones on the brackets. If everything fits, apply a dab of glue and fit the wings in place. Use a twist-tie or some string to hold the wings in place while the glue dries. Also, pay attention to the position of the wings relative to the reflector. Each wing should stand straight out and not sag toward the reflector. If necessary, fit a temporary piece of cardboard between the wings and the reflector to hold them in the right place while the glue dries. The distance between the back of a wing and the back of the antenna (the distance from foil to foil) should be 3 1/2 inches. While you're at it, make sure that all parts fit well and that the antenna sits square and true. Now is a good time to glue the back end of the brackets to the reflector as well. Connect the wiring to the antenna. Connect your new antenna to your receiver and test. Experiment with the placement and rotation of your antenna until you find a good orientation. Generally, the broad front of the antenna (the bow ties) should be pointed toward the TV station you want to receive. The majority of HDTV broadcasts take place in the UHF TV band, so this antenna has been optimized for these frequencies. The placement of your antenna is key. The dual-bowtie antenna can be hung on a wall, but it really needs to be pointed toward the broadcasting TV towers. You will almost certainly have to experiment with placement and rotation until you find the spot where your receiver registers a good signal. In some cases, especially if you are in a home with aluminum siding, you may not be able to acquire an adequate signal indoors. In this case, you still have a couple of options. The first is to place the antenna in your attic, above the influence of your aluminum siding, and run a cable down to your set. The second is to hang the antenna out of a window. In general, this is not something you want to do with a cardboard antenna, but if you add some extra cardboard bracing, enclose the antenna in a plastic bag, and devise a sturdy mount. The antenna will be able to survive this way for quite a while, and if the next hurricane blows it away, what have you lost? Just a few cents worth of materials! Would it work to take two of these and put them back to back and join the wires with a combiner of some sort and not have as much of a directional nature? I have towers in opposite directions - would be nice to not have to rotate the antenna all the time. I guess anything's possible but I have my doubts as to whether ju124 can get 118 channels using this antenna alone. I spoke with some tech guys that are experienced in this area of tv antennas and they said it was doubtful also. One of the guys said that about the only way you can get that many channels with an antenna is if you mount it on a 50ft pole and even then he said he doubt you would get more than half that many. Curvature of the earth, size of their broadcast antenna or dish and power output as the main obstacles. Our neighbor installed an antenna similar to yours for us and yes, it works. Thanks for sharing! Really cool stuff. Great article. Thank you! FURTHER UPDATE: Yesterday we finished a 14" apple pie and i thought of using the left over round aluminum tray as the antenna. So I replaced the bow tie with the 14" round tray. I connected it with a bare wire (no balun) to the central wire of the coax cable. Ran the channel search again. 111 channels (compared to the earlier 118). Excellent reception on channel 8 too. So take your pick. I would say start with the easiest 8" bare wire, then any piece of sheet metal and so on. Like I mentioned, channel 8 (ABC) was the hardest to pick up during scan as well as to maintain a signal. One minute I would have a crystal clear picture and then suddenly very poor or no signal at all. So I further experimented. So far my impression was that my 8" bare wire outdoor found as many channels as the indoor dual bow tie antenna. But i had to do something to get better quality signal for channel 8. OPEN AIR PLACEMENT BEST: Next, I tried different placements of the dual bow tie. Outside the house signal was slightly better. There is a clothes line hanging in my back yard. I hung the antenna on it such that it is away from any walls, trees etc. Ran the scan again. Wow, I got 118 channels a big improvement over the previous 93-101. And the channel 8 signal has been steady. DOES THE CURVED SHAPE OF BOW TIES MATTER: Thinking the commercially available antennas are flat, why do the wings have to be curved. I flattened them out. Ran the scan again. Same 118 channels. So, they don't have to be curved. ONE ANTENNA FOR MULTIPLE TVs: This outdoor antenna was connected to two TVs through a splitter. Still same excellent signal on both TVs. So my next project is going to be to build this antenna from sheet metal and mount it on the roof and run coax cables from it to my all 3 TVs. Thank you Dave Muse for giving us this design. So I made one of these in slightly modified form and compared it with three others simple designs. I don't believe I can add photos with this so I will just have to describe it. Hope you will all get the picture. This is how I made this. Printed Dave's bow tie pattern on legal size paper. Instead of cutting a foil of that pattern, I glued foil to the entire sheet of paper. Then I cut only two bow ties. I glued that to the card board, paper side to the card. After it is dried, i made incisions around the wings leaving the cardboard intact. Then bent the wings to the curvy shape and placed a piece of tape to hold the shape. I also bent the edges of the card board about two inches on all 4 sides so it looks like a lid of a box about 14"X14"X2". Attached the Balun as in original instructions. Now it looks like a lid with 4 wings folded out of it with the rest of the cardboard still in place. This makes the whole structure much more sturdy and durable. The 2" side of the lid is used as a stand. My house is only about 6 miles from the towers. It is a single story with a steel roof. The best signal was achieved by placing it in the glass window. 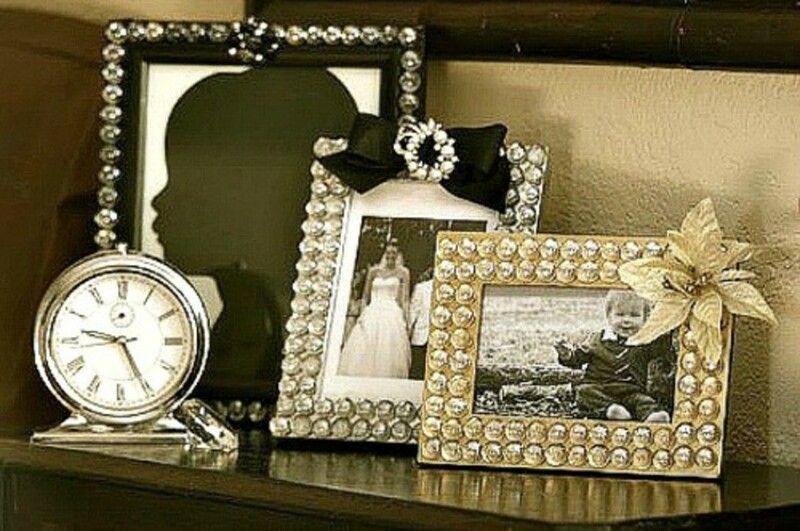 Placing it against the wall was worse. The higher I placed it the worse. The antenna placed at about 6 feet height was the best. The convex side of the wings pointed to the direction of towers. Dave's design shows a reflector cardboard as well. I did not find any difference with or without a reflector. With auto scan It found 98, 94 and 93 stations on the 3 TVs. Most stations were very clear with signal bars showing 2 or more of the 5 bars. Some of the stations that had poor signal were the ones I did not want any way. For those I cared about, most did not need any special positioning of the antenna. But two important stations Fox (channel 4) and ABC were very finicky. Antenna had to be in the right position to get those. COMPARISON: 1. Commercial flat panel, a $39 antenna I bought for $25 on sale. Did not pick up ABC, when it did the signal showed pixilation frequently. Number of stations picked up were similar to Dae's. Around 94-98 channels in best placement. 2. Dave's did pick up ABC although had to be positioned correctly. Numbers around same as above. 3. A piece of scrap foil left from the making of Dave's antenna. A triangular piece about 4" long and in curved shape similar to Dave's wing. I just connected it to the central wire of a coaxial cable, no balun. This gave 74 channels. 4. 8" long bare wire at the end of the coax cable. I was unable to bare the wire to 8" length. After about 3 the wire just kept breaking. So I just put a straight connector and stuck an 8" long bare wire in it. I just cancelled my Cable TV service. I used the existing coax cables. From the Tv to the wall outlet to the eve where there was a splitter, disconnected that and put a straight connector and wire in it. This was the best antenna of all perhaps because it is outdoor. No complicated construction or positioning etc. Surprise surprise. Auto scan with this antenna found 98 to 101 channels on the 3 TVs. Quality of signal bars were better than Dave's or the commercial antenna. I even got Fox and ABC very easily and very good signal. So I threw away the card board antenna and returned the market one. Here to second a suggested antenna mentioned here in comments. Forgive me for not linking his name, it's far down the comments for me to find atm and while typing. I stripped a old coaxial cable the satellite company left lining my walls. I stripped around 12 feet and wrapped it around itself, looks like a wire crown, and wrapped it around itself. With trial and error I find it works best left higher then yourself, as walking around messes with it, and flat, for the most surface area, and plugged directly into your tv/dvr/tuner. I went from 7 channels to 54. Had to come back here to spread the news, good luck. Will this antenna work in a bungalow with a steel roof? Suranga, yes it will work but it's best if you use cardboard manufactured in the country whose channels you want to receive. I bought something from Amazon that was packaged in cardboard made in California, now I receive Californian broadcasts from across the country! Dear sir,I'm from Sri Lanka.Can I try this for my country and can I see foreign channels? Amazing!!! The cardboard I used was not the sturdiest so I supplemented the structure with cardboard piece and tape to maintain the 3.5" distance from the reflector and 90 deg wing angle. I hooked up up and was losing hope. I then realized that it was scanning for analog signals. Then it got to scanning for digital signals..."Shut the front door!!!! "....Can you say 41 channels?!?! ?...Thanks for activity and the well-worth-it $6 investment. So glad I found this instructable! I built this over the past weekend. For the 4th time in about 6 years, since changing over to DishTV, our local stations were about to be removed due to an argument over how much the local stations want DishTV to pay to include the channels (free OTA channels that are paid for by commercial/ad time)! WTF? So I decided to break free of the reliance on getting local tv from my satellite. We live in rural Northern Lower Michigan and all broadcast towers are more than 25 miles away. I tried 2 retail antennae with no real acceptable results. The first was a RCA "rabbit ears" type, "HDTV digital" antenna that was crap - got just 2 so-so stations. The next was a flat panel style with a supposed 50 plus mile reception range - got 3 stations with only 2 acceptable enough to watch (all 3 were PBS channels, nothing for local news). I looked to the internet and saw this homemade bow-tie antenna and thought "What have I got to loose?" From the comments here, I felt that my chances were pretty good that it would work better that the other antennae, so I went a step farther and purchaced a 24"x36" piece of corrugated plastic sign material and a gel rapid fuse glue from Lowes (under $10 for both) so I could put it outside, if needed for better reception. To attach the foil I used a can of exterior spray glue that I already had and the balun (not attached in pic) was from an old tv in the house. Wish I could include pictures, it was much sturdier that the cardboard (and more visually acceptable). Total assembly time was about 2 hours. First impression after I hooked it up were disappointing. Then I remembered that I have a drop ceiling with metal grid on first floor of house, and a metal layer in the ice shield on the first 5' of my roof. I then took it up to a tv on 2nd floor and a miracle was immediately apparent! I was pointing it in a random area as I connected the antenna when I was suddenly scared by someone talking on the tv program that was being received. It was from the farthest away channel! After a channel scan I was receiving ALL 9 available channels! This means I am getting stations with broadcast towers up to 74 miles away! I am going to do some research and learn if there is any way to improve the physical sturdiness of the design to make it stand up to being outside in our rough winters up here. Other than that, I am very pleased in the strength of reception and ease of building it. I think I can add an amplifier and bring a coax cable down to our main TV. 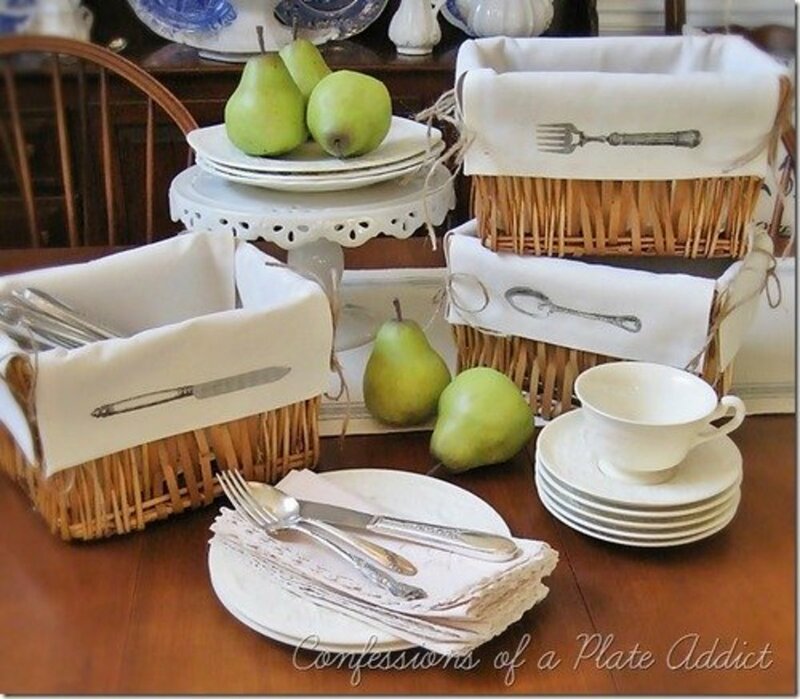 THANKS FOR POSTING THIS INSTRUCTABLE! Here's a secret you won't hear from an antenna manufacturer The TV signals themselves don't care what the antenna is made from, as long as the correct arrangement of electrical conductors is present.With this antenna that's aluminum foil..yes I am. In the pdf file with the paper pattern templates , the instruction just above the little ruler at the bottom of each page says to adjust the template "with the printer" so that the little ruler matches a real ruler. My problem is that I can't get an exact match because the pdf zooms in increments of 10%. How do you adjust a pdf obtained online with a printer? And, if you can, which printer do you use the pdf icon or your own printer or the one in the file menu in the browser? Hope someone can help before I wind up in the loony bin. Sorry Jeff the RF engineer, it works. Perhaps if you built and tried it you might see the light. I live in the south central mountains of PA and built this 2+ years ago so I could cut the cable costs. I get all the channels that show as available at my address on antenna web.org from something built in my basement on a Saturday afternoon with materials I had on hand. The total antenna costs from expert websites ranged close $300.00 for my location and application. Could not be more pleased. Can this be made with 1/8 or 1/16 inch aluminum or any other material? Or does the foil maximize the reception? Step Twelve: "The distance between the back of a wing and the back of the antenna (the distance from foil to foil) should be 3 1/2 inches." Are you sure this is the distance when you're using cardboard and not the foam board? All I can get is about 3". If you add the thickness of the foam board it would probably be about 3-1/2". I just built this exactly as specified here and I can get 13 channels. I had tried an RCA powered antenna from Best Buy and received 0 stations. Thanks. Watching the NCAA tournament now. is ok/better to use solid aluminum/metal sheets? is it possible to use multiple antennas for 1 tv? if so, how do i rig this? thanks! I live on a houseboat at Lake Lanier in Georgia. I had tried several HD Antennas from $20 - $150 range with an antenna rotator on the top side of my boat. I gave up after receiving ZERO channels and went to DirecTV. I recently suspended my service with them (until football season) but hated not having at least one or two local channels primarily for live weather tracking. 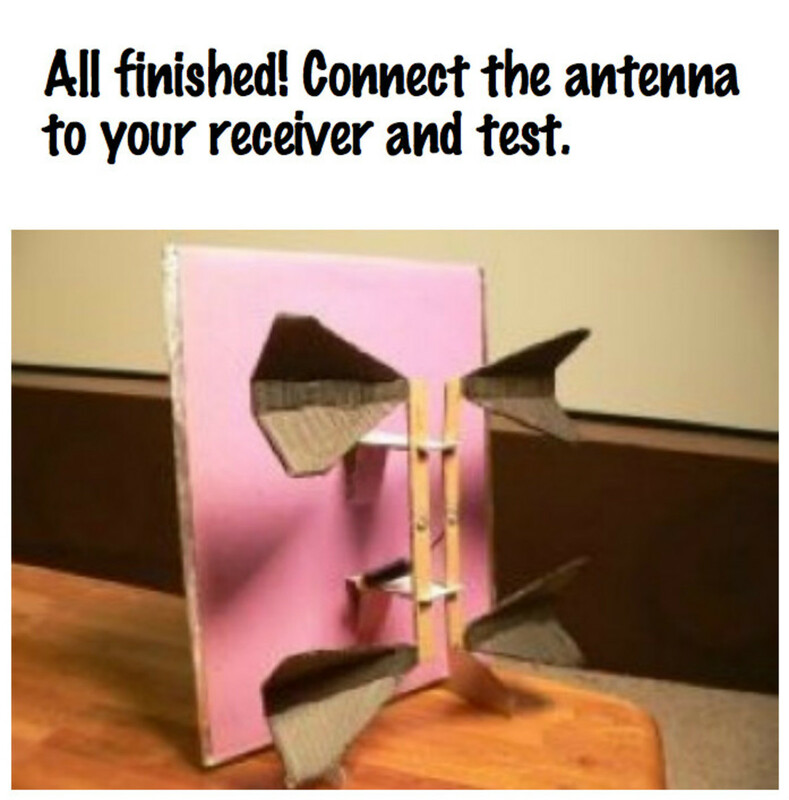 I made this antenna using some decent cardboard and "regular" Reynold's foil. I get 12 digital channels with the antenna INSIDE my boat. I have it hanging in the corner and if I turn it myself I may get another channel or two. I get WSB and WAGA in HD! I never thought this would work but it's amazing how well it works and how clear the picture is for several channels. This is definitely one thing I wish I had found years ago. Thanks Dave Muse! There's a lot devoted to materials that won't interfere with the signal, but wouldn't placing the reflector metal in front of a material like wood rather than behind cardboard solve that problem and make the construction sturdier? There's a fair amount of discussion around materials that won't interfere with the signal. But wouldn't positioning the aluminum in front of a surface like wood instead of behind it solve that problem, at least for the reflector? It works great but I'd like it to be sturdier. It resonates equally well from DC to Daylight with unity gain right across that spectrum. (Though you might see some improved gain at daylight if you used shiny cardboard!). Needless to say, the polar diagram is a perfect circle. I have it on good authority that you can further enhance performance by glueing some sparkles and elbow macaroni to it. What's the resonant frequency and the bandwidth of this antenna? Just made this and i live about 50 miles from tower. It works. I hooked up my amp from my store bought antenna. All and all it works now im taking the tv downs stairs to see if it will work down there. My flat rca antenna wouldnt work down there. So hopefully it will work. As an RF engineer this article (sorry, "article") caught my eye. In fact I'm quite proud to say I managed to read it fully without falling off the chair with laughter. To read that many people below 'can't get it to work' comes as no surprise whatsoever. Yikes I don't even know where to begin. Intelligent people will file this one alongside similar internet articles such as 'heat your room with a tealight and some plant pots' and youtube videos of perpetual motion machines. It's a series of cool pictures which attract attention to the poster (surprise surprise), but are virtually useless otherwise. Not sure if this has already been mentioned but your tv must be able of accepting digital signals, otherwise this antenna will do nothing but give you snow. I build one out of foam-core and it didn't give me anything. After I researched my tv and saw that I had to have a digital converter then I got several channels from around 40 miles away by having it about 8 feet in the air, it was definitely worth under $10 I spent building it. Hello my sister in law made one of these and it works great. I have a metal cutting CNC machine and was wondering if this would work made from carbon steel, I have some 20 gauge on hand. I realize that I will probably have to use something other than metal, non conductive, to separate the dual bow ties. I needed 4 hours to build the Dual-Bowtie Antenna. It cost me only $3. for the balun at the dollar store. I placed it in the roof in the direction of the broadcast antenna that is at 15 km from my home and I got all my channels crispy clear, except one. I have two TVs at home and when I connected both on the Dual-Bowtie, the signal became drastically low. I found a cheap antenna model (HD-5700 $30. inclucing shipping) on Monoprice and I ordered it because I wanted to compare with the Dual-Bowtie. I thought the HD-5700 Antenna would give me better reception since it came with an amplifier, but at the end, I got the same results on both TVs. No reason to spend money on antenna and we get satisfaction to build our own. I just finished mine up yesterday and I get 0 channels after searching. Does anyone have any suggestions? All in all, I'm happy. Thanks for this plan! You did a good job. I live in a 1 bedroom apt. that has brick walls and the landlord won't put up a new antenna outside so I need to make one for inside but I also have train tracks about 100 ft from the building and they are on a hill that brings the top of the train is evan with the top of the apartment building and I live on the first floor so I'm basically below the trains and every time one goes buy the TV cuts out. I am about 60 miles NE from Indianapolis and the only window that I have to face the antenna is faceing East away from Indy. Do you think your antenna would work for me? I also have a old Satellite dish just outside of my bathroom window that I am trying to build something that I can put on it so I can use it and it is still facing in the right direction do you have any ideas on what I can do with that? One of the problems with that is that it is below the wheels of the train and it is pointed directly over the train to the satellite. I have been trying to come up with something for well over a year now and I am getting really frustrated with it so is there anyone out there that can help me out on this? I need someone who knows how to figure out the math or something that I can try. If you need the math figures just let me know. Thanks for any help you can give me. I was skeptical about this, but every antenna I have purchased even amplified power antenna have given trouble with signal. I slapped this together rather half hazardly in all honesty and it works much better than any antenna I ever purchased! I get more channels and much less aggrevation. Love it! Made one of these antennas from some extra aluminum roof flashing. Spent about $1.75 for a balun, which was my total cost. One of my friends loaned me a Mohu Leaf antenna, which probably cost around $40. I did a comparison of the two. The results were that the Mohu Leaf pulled in 40 stations (from the Orlando, FL area). This antenna pulled in 59! To form the 45 degree angles for the wings (using foam board), I temporarily pinned small squares of foam board to the end of the wings while the glue was drying. Also, I used binder clips to fasten the Balun to the antenna. They worked very well. Question on step number 4 - When cutting the two rectangle, should we also cut the foil from reflector? I am not sure if we just need to cut the rectangle or need to cut foil along with two rectangle?? Hi guys, do I need to have the transformer? can it just be an antenna cable split wires to attach to the two points on the homemade antenna? Hello, you say that the transformer is used to easily connect the antenna to the tv, and that coax cable can be used by stripping it and connecting the wire (since there is only one wire in coax). Do you mean that you connect the coax to two pigtails? If so, what wire should be used for the pigtails? Hello readers, sorry to take so long to answer questiions, Hubpages works different from Squidoo, so I have just discovered your comments. WHitney, tape won't make for a good electrical connection. Someone here mentioned paper clips, and that probably would work. Orb, yes, you made a large reflector which is working better than the small reflector that is part of the antenna. Calculating the optimum distance takes math (and would be a bit different for every channel) so experimenting is the best advice. And yes, you can show pictures and link back. Brian, if you are doing long runs of cable, the round coaxial is better than the flat twinlead. You can also add a signal amplifier if you lose too much signal strength. Marshall, yes, the wings need to be insulated from each other and from the reflector. So the antenna can't be all metal, there need to be insulating components. Tyler, it doesn't matter which side of the foil is up or down. does it matter which way the "shiny" side of the foil faces? I'm a communications engineer so I decided to try this as an art& craft project. No cost to me and it made my blood pressure go down while I was cutting with scissors. I connected the antenna to my HD TV and ran the automatic antenna discovery channel option. Well, well, well, all 17 channels that TVFool advertised I would get, I got. After trial and error, it didn't matter much where I was pointed, as long as it was in the general direction of the transmitter. What a great antenna! Thank you very very much Dave. Good buy cable TV! $70 a month in my pocket. We don't have cable and don't really watch live TV. My brother in law is visiting and we wanted to watch the Super Bowl, but not badly enough to spend the money for a capable enough HDTV antenna. So we built this. It took a few hours to get everything cut and set and glued. We plugged it in and watched the detection and it found 26 channels. Not bad here in north Idaho. We found the channel in time for the kick off. I think we cheered more for the antenna than for the game!!! Great project! Well worth building. I'm getting ready to try this, I hope it works. I'm guessing at some of the measurements cuz I am reading this via mobile phone & can't print stencils! I would love to just get dimensions, but I will try to get it close with the info I have from your step-by-step instructions & comments! I will let everyone know how this comes out! If building this from sheet metal rather than aluminum sheet do any considerations need to be made? Also if using either sheet material do you need to insulate the wings from each other and from the reflector with non-conductive pieces or nylon washers? How long can the flat cable be before you start to lose signal? I'm debating flat cable vs coax. Any advice? I need about 20 feet to point it in the correct direction without obstructions. My question is... while experimenting with placement and moving stuff around to make a place to set it, I inadvertently sat a piece of insul board double sided with foil behind the antenna and boom I was getting a stronger signal than before, a couple stations more than before. If I move the foam board I loose those stations and the signal weakens. Am I adding a backstop that is shielding out the noise from the room behind it (wifi transmitters in that room) or am I adding a backstop that is acting as a 2nd reflector? I'm guessing I am blocking the interference from behind but if it is acting as a second reflector I wanted to ask, what would be the optimum distance behind the designs reflector. My ruff "rubber meets the road" tests seem to suggest 1x to 3x the distance in the design between the bow ties and the reflector improves the signal. Less than 1X or more than 3x I begin to loose the boost. I'd also ask what would be the optimum size of this 2nd reflector/shield. I've been playing with a piece of the insul board that is 6 inches or so wider than the design antenna but when I grab a smaller piece I still get an improvement. So... I don't know if it's a shield or a reflector I'm adding and I don't know how big is big enough or the best distance to mount it into the design if it is a reflector (guess if the boost is from shield only, the best place to put it would be between the antenna and the wifi transmitters). ? I also built the other simpler design to send to a friend that lives in an urban area. Not as good a fit for my middle of nowhereness, but, I got the same boost when I was testing that out after I finished it (same location as where I played with the bow tie version). Shield or reflector? Last question. I wanted to do a "this thing is awesome" post on my web site's "money savers" section. Show a pic of the one I made, brag a bit on you and steer the people back to this page with a link. Is that OK? Can't close the post without saying thank you again. I can only imagine how many hours of news, information and entertainment you have made possible for so many of us with this design and your willingness to share it. As I said earlier, "you did good!". Finished building it this morning. I can't even believe how well this antenna works! I had made a bow tie antenna (better known as the coat hanger antenna) and it worked for almost everything, but about 5 channels would get pixelated off and on. I found this site while looking for the directions to make a second bow tie antenna. I was extremely skeptical, but figured what the heck... if it doesn't work I will only be out some cardboard and aluminum foil. I got it made, hooked it up to my second tv, and couldn't believe it - I got more cannels than my bow tie antenna gave me. So I made a second one to replace the bow tie. I still can't believe how simple this was to make, and how well it works. I have them mounted in my attic. I'm going to recommend this to all my friends who have cut the cable, as well as those who haven't yet. I've created a template to make the cut-outs quicker to make. Thank you so much for this design! It's so difficult to get anything here in the UP that I need an outdoor antenna. Any plans for a super awesome outdoor antenna? I think some of your readers think this will give them free cable, judging from their comments. Never mind, it's working now for me! Thanks for the tutorial, I'm crossing my fingers that it works! Is the website just temporarily down? Is there any alternate website it could be posted on? Thanks in advance! Nevermind hung it higher and in front of the window. Totally works!! Thanks. My roommates can't believe it! So built this tonight didn't have a stapler so I taped balun wires to foil. Mine is not working is the tape why? The cardboard I used was a bit flimsy for the verticle bars/bowties to keep their positions so I added some braces underneath for proper spacing. Next one will be foam core. Worked great! A bunch of us don't get cable & this pulled everything in except the one VHF channel as expected. No repositioning for every channel like the expensive set top antennas. It just works. I was actually a bit creeped out seeing the clarity of some news readers & their wacky makeup or plastic surgery when I tested things out. For the final cable lead connection, I simply used paper clips across the bars to contact the foil on the back & to pin the stripped cable leads to the front of the bar. It worked better without the balun. I dropped my cable bill when all the signals went digital and the government send out a voucher for a "free" converter box (maybe 5 or more years ago). The box still required an antenna and I found a flat one without any "ears" at a local discount store. Cutting back on expenses after being a victim of a crime and now disabled, I had to try it..After all, I haven't seen anything remotely new on all those HBO's/Max stations for years and hadn't seen a music video on MTV in over 20 years. In 6 months I had saved enough money to buy a better t.v. and no longer needed the box. Just my $20.00 antenna and I get every station from 3 to 66 and several "sub" channels. I've dropped that antenna so many times it rattles inside so I am going to make this one tomorrow. I have a block house so looking forward to a stronger signal. If everyone wants to keep giving away $100+ for no reason, I could use that money to pay my regular bills and maybe get some help in the house...just send it to me via paypal and it will be doing good! @Fred_A: A thunderclap too near your TV set could have damaged it. This does sometimes happen. @dannamae19: Make it free right from this page. Download the patterns near the top of the page. @yuji-horimoto: There are two wires, one goes to each wing. @itlameta: Hi - a link to the patterns is right near the top of this page. @apeweek: Do you connect the wire to both metal points on the wings? love it! mine was a little out of spec but I still did what I wanted and then some. clear solid signal. sir can get it free???? @laura-snyder2: Yes, you can connect it this way, without the antenna transformer. Others have tried this and found that it works fine. @apeweek: I'm having this same issue and also avoiding overpaying for something at radio shack. Before I connect everything and find out it's wrong, I have a question. I can just strip a coax wire, separate the outside braided wire and gather it together and then strip out to the copper in the middle so I have 2 separate wires and then connect each to either side of the antenna? Thanks so much! I'm so excited to try it out! @AndrewKeith: A quick test, if you can do it, is to remove the innards from one of the transformers and wire it using insulated wires from one end to the other so there is no transformer. Then, use it that way and see if it helps. Understand, as apeweek has said, his design is for UHF channels and being as short as each wing is ~ 5" it is probably worse for VHF than even the most common UHF 8" bow tie antenna. I have not seen such seemingly random results using different transformers so I would suspect something else is changing when you're using different ones. Perhaps one has a broken wire inside? I've had to do a number of my tests over because when I took the antenna down I noticed that a wire had either come disconnected or had broken completely, yah never know. @apeweek: VHF can be picked up with the 8" version of the bow tie antenna but not as well as it picks up the UHF stations. I also found that making them 12 inches is even better, and at 16 inches they start getting a little worse but still better than the 8" version. This would be similar to making apeweek's "wings" 8, 12, or 16 inches long. The two "wings", one on the left one on the right, make a bow tie antenna. His design is called a two-bay bow tie antenna with a reflector. The two bays are the two bow tie antennas made of the four "wings". In a simple bow tie there are two "wings" made of a long piece of wire bent in half to make a "V" shaped "wing" The angle of separation of the two ends of the wing is 22 degrees, or for a wing of 8" the separation between the ends is 3 inches, 3". - I will eventually have the test results of the different lengths, using/not using the transformer, and also changing the angle of separation from 22 to 50 degrees and even the test of a four-bay version (without a reflector), up on my antenna blog, just Google "Karras' Corner" to find it. Also, if you make a version of apeweek's two-bay antenna, with improved VHF reception. not only would longer wings help but the separation between the two antennas would have to be further as well. The distances between and lengths of antenna elements all depends on the frequencies we want to receive. the Bow Tie design was an attempt to get away from the length of the antenna being so important. With such an antenna we should be able to receive a much larger frequency range with one antenna, and in general, it works very well indeed. BUT, the distance between elements may still be very important. The tests of my four bay version showed a distinct increase in gain for the UHF channels and a corresponding loss for the VHF channels. The VHF channels lost almost 10 dB of gain when compared to a single 8" bow tie antenna! Sir, i replaced the transformer and it worked. i believe it was the operators fault. the design is flawless...thank you again!!! @Fred_A: The transformer has very little effect, you can take it off and try it that way. However, unless the transformer is defective in some way that is blocking VHF channels and the VHF channels are just as close to you as the UHF channels are, you should see something. I've run a few experiments in my area with a simple bow tie antenna and at 8", which is about 3" longer than this antenna, I see a drop from UHF to VHF of more than 15 dBuV from the best VHF to the best UHF channel. For stations with similar distances and powers. Apeweek's antenna is only about 5" long making it even more UHF centric than the "standard" 8" bow tie, the other thing is that, for multi-bay antennas like this one with two bays (two bow tie antennas tied together), the spacing between the two bow ties also decreases the VHF gain because the spacing is selected to enhance the gain of the UHF channels. In a similar antenna I tested, which had four bow tie antennas joined together, the VHF channel gains dropped from the single bow tie by about another 3 dB while the worst UHF station gained more than 10 dB! For this antenna I'd expect the losses and gains to be about half of my numbers. @apeweek: So for VHF would you shrink the wings, or the distance between the bow-ties, or is it more complicated? I played around and tried 3 different baluns and got 1) no channels at all, 2) only UHF channels, 3) UHF channels and two of the three VHF channels but with a lot of loss. @Fred_A: Fred_A: well, that's a cheap thing to test, so sure - try it without the transformer, or with a different one. If a thunderstorm damaged anything, however, it's more likely to be inside your television. @AndrewKeith: Our antenna is in fact a UHF antenna. The vast majority of HD TV channels today are on UHF. It will pick up VHF channels as well, but it isn't optimized - so it works on VHF only for strong signals. Thanks for sharing this! Any idea why I'm only getting UHF channels? thank you for your response the Antenna is connected directly to my Vizio Tv. do you think it might be the transformer? @ShorePatrol: Shorepatrol: yes, a long cable run will result in signal loss. The fix for this is to us an antenna amplifier, which needs to be weatherproof, and mounted near the antenna side of the cable. The parabolic dish you found may or may not help your reception if mounted in exactly the right spot, but t would take a lot of experimentation to find out. So probably not worth the effort. @Fred_A: Hi Fred_A - there are two possibilities for how a thunderstorm could affect your TV reception. The first is tropospheric refraction. Under exactly the right weather circumstances, a TV signal from far away will get it's skyward emissions bent toward the ground a few hundred miles away. This is usually a temporary phenomena, and you could have experienced this before the passing thunderstorm changed the weather. The second possibility is that a nearby lightning strike induced a current in the antenna large enough to damage your receiver. This is not common but it does sometimes happen. thanks for letting us use your antenna, i built it, and was successful at getting lots of channels, but after a thunderstorm, im not able to get NBC and other channels. would you know why? From your description it does not sound like the problem is the antenna since you've also tried store bought and they didn't get anything either. The brief reception you experienced could have simply been due to conditions being favorable. Note: If you get better reception away from the walls then as apeweek said, there's something in the walls. But it also means you're closer to a window, so you could try pointing it out each window in the room for a quick test to see if pointing it out any window helps. @anonymous: Shopwilby: do you have another antenna to try also? If the other antenna works, but this one doesn't, there may be an error in construction. If neither antenna works, your reception location may be too poor for any antenna to work. @anonymous: 50 miles from broadcasters plus trees and buildings is a tough assignment for any antenna. I don't think there's anything wrong with the construction, but there could be a problem with metal in your building's construction. Try putting the antenna outside, or at least near a window, see if it works better. You might need an outdoor antenna. I made this antenna but I think I did something wrong. It is not as powerful as I had hoped but it is the only antenna (compared to store bought) that temporarily picked up CBS and Fox. A big obstacle in my home is the walls. I don't know what it is about them but antennas work better away from the walls, in the middle of the room. Raising antennas up high does not make a difference oddly. So, I'm not sure how I screwed up. I followed the instructions as best I could but ... Maybe I need thicker foil? Maybe I put too much glue and that affected the conductivity of the foil? Any tips, along the lines of typical rookie mistakes, would be useful. But, just so you know, my local TV towers are far away (about 50 miles) and I live in an area with high homes and trees. Still, I did glimpse CBS and Fox once!!! I have some hope, though admittedly I feel defeated too.